Reproduce, reuse, distribute, sell or modify any of Mycarer website content or store in a recovery system or publish any of the website content. Mycarer reserves the right to delete any content that we believe is inappropriate or breaching the above term. We also reserve the right to restrict a person's usage of the site either temporarily or permanently in such use. Use any of the content on Mycarer for commercial purposes, to gain, Operate or establish your own product or offerings. Becoming a registered member of our online community we, Mycarer requires you to provide an email address and password and it is your responsibility for maintaining the confidentiality of your email and password. You must notify us immediately of any unauthorised use or access of your profile and you are responsible for any authorised or unauthorised actions undertaken using your email address and password. Membership fees are payable in the amounts and in the manner described on our website. Fees are subject to change without notice and may be refundable at our discretion but not when members simply change their mind. Membership fees are not transferable, re-sellable or assignable. 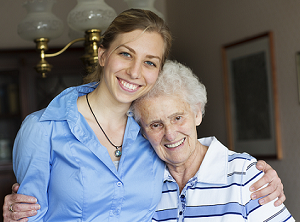 Mycarer is strictly a comprehensive search facility provider which links up care users with the right carers. We assist only as a point of contact between the Care seeker and Care Provider and we do not make any warranties or guarantees as to the accuracy or truthfulness of any information provided to us by the Care Seekers and Care Providers. It is a responsibility of the users to establish mutual agreement as to the terms and feasibility of their transaction prior to conducting any services. Mycarer is not involved in the actual transaction between Care Seekers and Care Providers. As a result, we have no control over the quality, safety or legality of the services listed, the truth or accuracy of the listings, or the ability of either party to actually complete a transaction. We also, do not control the information provided by other users which is made available through our website. Mycarer does not get involved in the actual transaction between care seekers and care providers. Therefore, in the event that you have a dispute with one or more parties of this service, you release Mycarer from any claims, demands or damages of every kind and nature, known and unknown, suspected and unsuspected, disclosed and undisclosed in such disputes. Mycarer provides links to websites maintained by third parties. These Linked Websites are not under the control of Myacrer.com.au and we are not responsible for the contents and are not liable for any damages or loss arising in any way out of or in connection with or incidental to any information or third party service provided by any linked website. Terms and Conditions on this website were last updated on February 2016. Mycarer may modify these Terms and Conditions from time to time without notice and you are bound to these terms and conditions at all times.